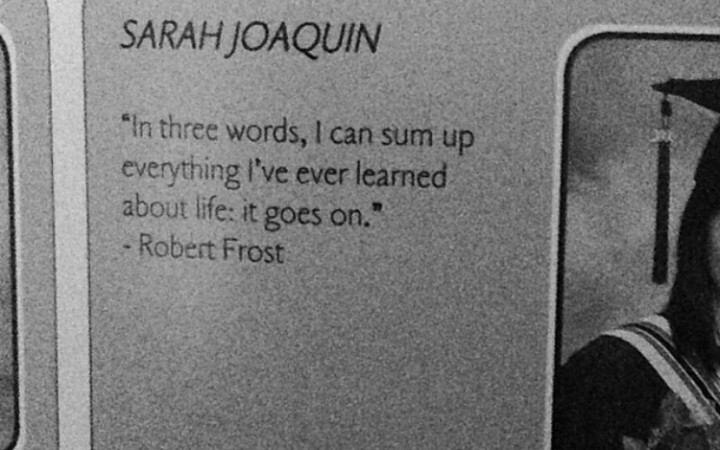 I’ve been feeling very nostalgic lately so I dug up my old high school yearbook to check out my picture and quote. 7 years later, I couldn’t agree more with my 18 year-old self. 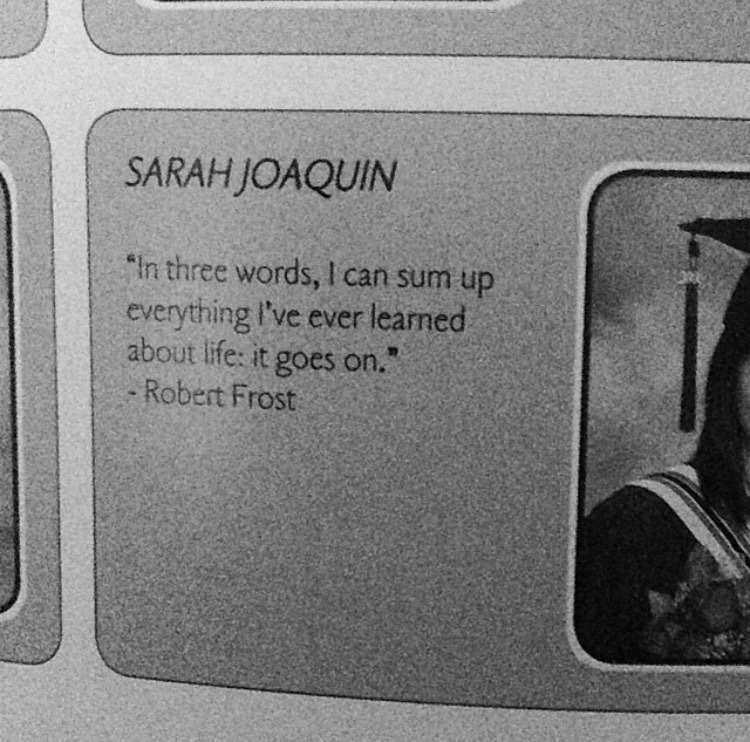 …And just like that 4 years were over. Current mood: complete and total denial. And my answer always is: a million different things! It’s a never-ending cycle of being excited, nervous, sad, anxious, scared, and proud. I’m excited for what’s in store for me after I leave Ryerson. Excited to start my career and explore the different opportunities the CPA designation will provide in the future. On the other hand, I’m nervous to leave my student-life bubble to enter the real world knowing that life won’t ever be as “easy” as it was as a student (this I have been told a million times). And then there are moments when I truly feel sad. The kind of sadness that overwhelms you after your favourite show runs its very last episode or that feeling you get when you finish a really good book and you don’t want it to end. These past 4 years were some of the best years of my life and I’m almost wishing that I could do it all over again. After I was handed that piece of paper that I worked 4 long years for, marked the official end of a really long chapter I like to call ‘My Life at Ryerson’ (even writing this now, I can say that I already miss school). But, at the end of the day, I’m really proud of myself and my fellow peers. I’m proud to say that I made it through 4 years of long nights of studying, staying up late to finish projects, stressing over exams, making new friends, and really finding myself. Four years ago, I walked into TRS 1-067 for my very first lecture at Ryerson (it was for BUS 100). Shy, introverted, and scared, I had no idea that in the 4 years to come, I would be capable of reinventing myself into the complete opposite and just how relevant Professor Schlanger’s Find the Pony analogy would be today. If you’re unfamiliar, here is a link to the meaning behind the phrase: Find The Pony. Long story short, to Find the Pony is “to find value or good where none is evident”. One of the most important things I’ve learned as a student at Ryerson is that there are countless opportunities available for you while you’re in school and even after. It’s a matter of going outside of your comfort zone, taking advantage of the resources available to you, seizing those opportunities and constantly striving towards being the best version of yourself. 4 years after walking into that very first lecture, I’m proud to say that Ryerson has helped me do just that. I’m not a psychic, nor can I predict the future, but one thing I know for sure is a quote that will forever be ingrained in my head after walking into TRS almost every day for 4 years: the best is yet to come (c’mon, you really didn’t think I wouldn’t include that in at least one of my posts!). Of course I didn’t get here on my own. 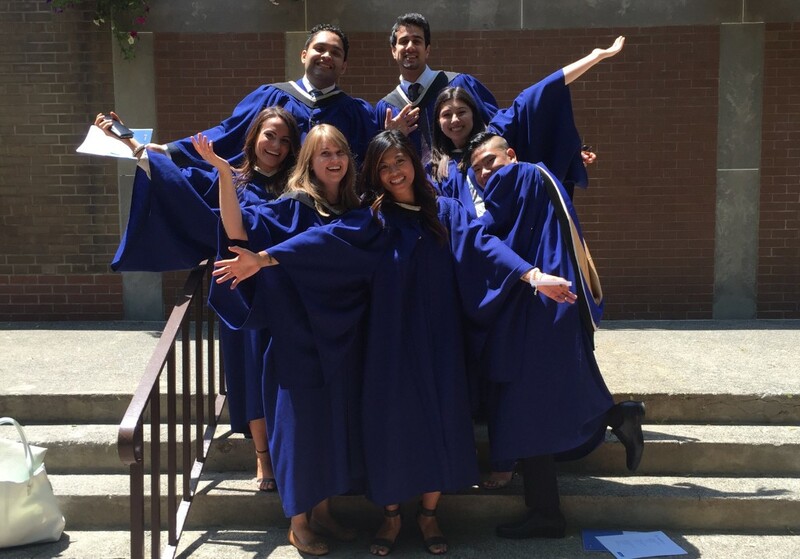 A huge shout out to the amazing Ryerson professors, staff, faculty, and advisors (special shout outs to Dr. Andrea Martin-Pichora from the Centre for Student Development and Counselling and TRSM’s accounting career advisor, Laura Henshaw!). Ryerson students are truly lucky to have that constant support from faculty and staff who really care about the success of their students even outside of the classroom. 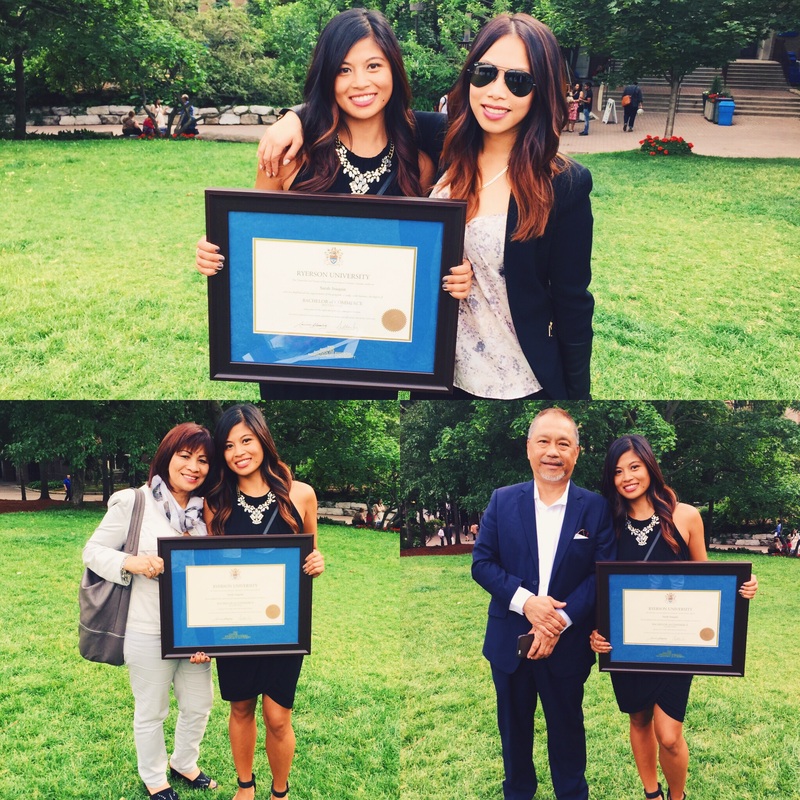 To my family and friends, thank you for your never-ending support, encouragement, and guidance throughout my four years at Ryerson. For cheering me on during the times I doubted myself, for putting up with my stress during exams, and for always believing in me, thank you. 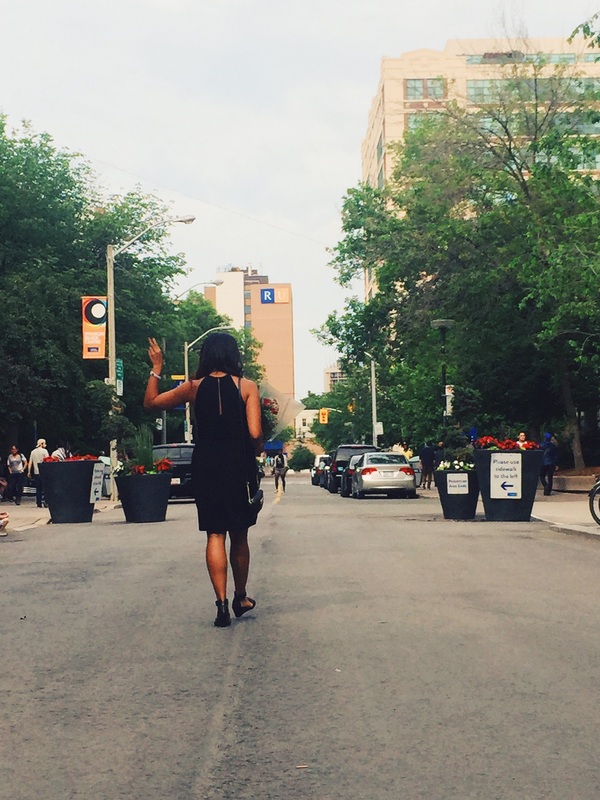 Thank you for allowing me to share my Road From Ryerson journey!